We're thankful to Dr. Bullard for enriching our campus with his visit … His lecture, discussions, and classroom visits were highly valued by everyone who met with him. He really did an excellent job of tying various pieces of environmental justice together. His message was extermely compelling. His keynote address made a significant contribution to our program. His presentation was relevant and timely--we appreciated hearing his perspectives and sharing in his optimism. Namesake of the Sierra Club’s “Robert Bullard Environmental Justice Award” . 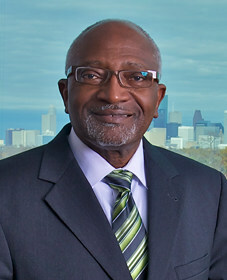 Author of eighteen acclaimed books demonstrating his expertise in sustainable development, environmental racism, urban land use, industrial facility siting, community reinvestment, housing, transportation, climate justice, emergency response, smart growth, and regional equity.